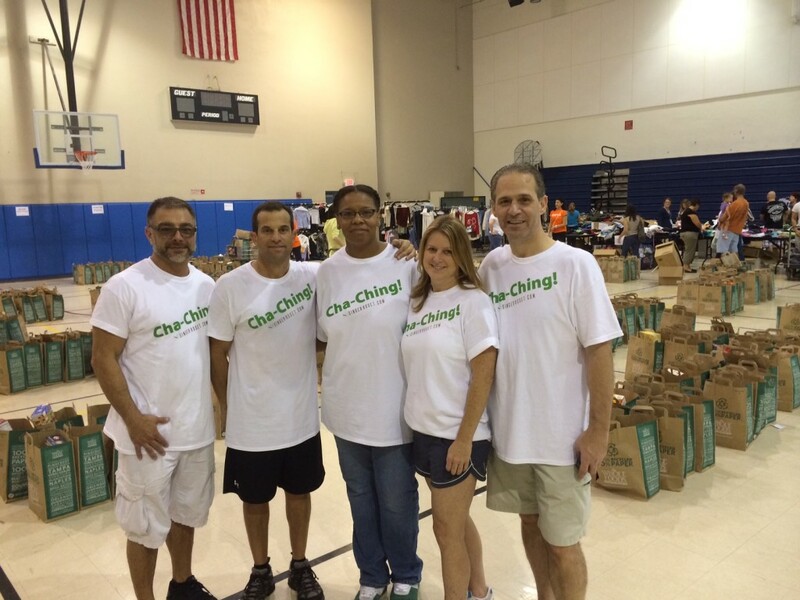 Boca Raton, Florida—November 27, 2013—Employees of Singer Asset Finance Company volunteered at the Westglades Middle School annual Harvest Food Drive. Company volunteers helped deliver one week supply of food to more than two hundred families in need. The food drive helps support students and their families during this time, as well as, families in the surrounding area. The families were provided a one week supply of groceries, including a Thanksgiving feast with turkey. Families were also able to browse a boutique of donated apparel and toys to make their selections. The Harvest Drive began at 8:00am on November 22, 2013 with a delivery of donated perishable food. Singer volunteers unloaded the food from the semi-trailer truck and then organized the food into stations. The stations included eggs, bread, oranges, butter, potatoes, milk, and orange juice. Grocery bags of non-perishable food had been stocked the previous evening with food such as rice, flour, cereal, peanut butter, and a variety of canned goods. As each family checked in, a volunteer first collected the non-perishable groceries designated for the specific needs of that family, then went to each station of perishable food to complete the supply, and loaded the supply into the family’s car. Meanwhile, the family was able to visit the boutique and make selections from hundreds of donated apparel items, shoes, books and toys. Singer volunteers also made home deliveries for several of the families that were unable to attend. Singer Asset Finance Company recognizes the importance of the Thanksgiving holiday to all Americans and chose to help families in need. 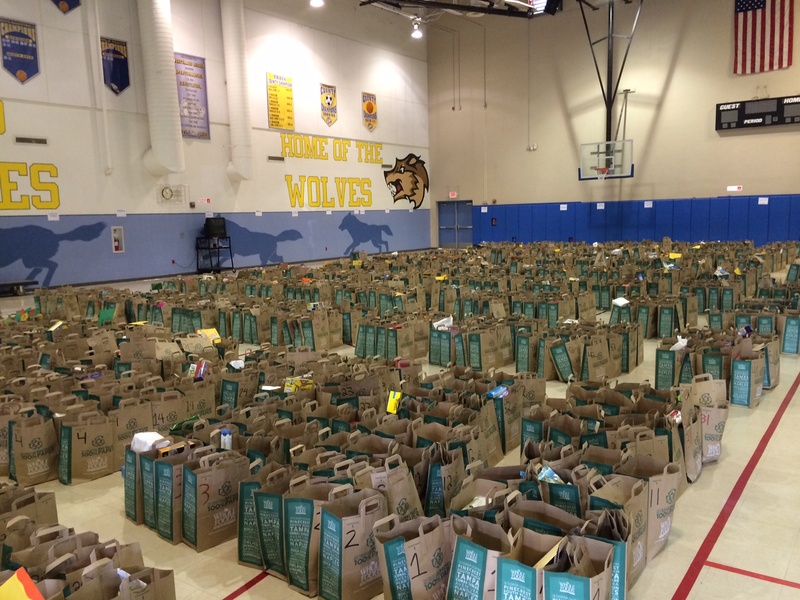 “We saw the appreciation in the faces of the families in need that received a week of food for the Thanksgiving holiday”, said Howard Weinberger, CEO of Singer Asset Finance Company. Singer Asset Finance Company is an industry pioneer and national leader in converting structured settlements, lottery prizes and annuities into lump sums. Since inception, Singer Asset Finance Company has purchased nearly $1 billion in future annuity payment streams. Singer Asset Finance Company is a founding and current board member of the National Association of Settlement Purchasers, the voluntary trade association for companies who purchase structured settlement annuity payments.